Our Minister of Music is an integral part of St. Michael's worship services. Multi-talented, Jan plays our magnificent pipe organ as well as piano while directing the Worship Team. 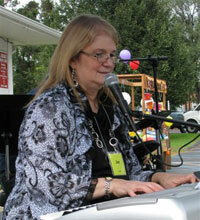 Along with her commitment to our music ministry Jan teaches music in public schools.